Prepare yourself for the most intense battle of your life this November! BATTLEGROUND FUN RUN is a survival-themed race that will put your endurance, strength and intelligence into a series of physical tests! Be prepared to brawl and fight your enemies as we pit you against 100 opponents in our gritty and nail-biting battle zone where escape only means one thing: failure. Wave your comfort zone goodbye as you’ll be thrown into a race that will keep you on your toes as you outrun, outwit, and outlive your opponents. 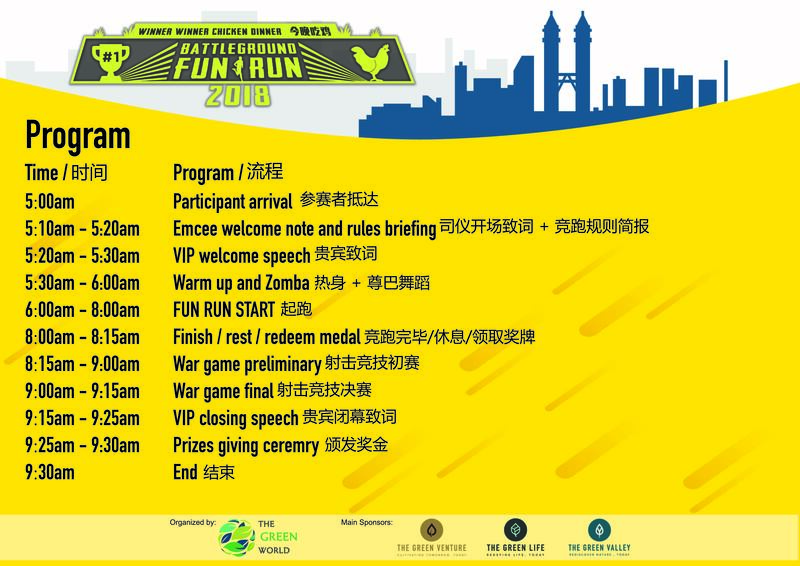 The Battleground Fun Run will be divided into two sections: 5km Fun Run and a grand showdown War Zone. 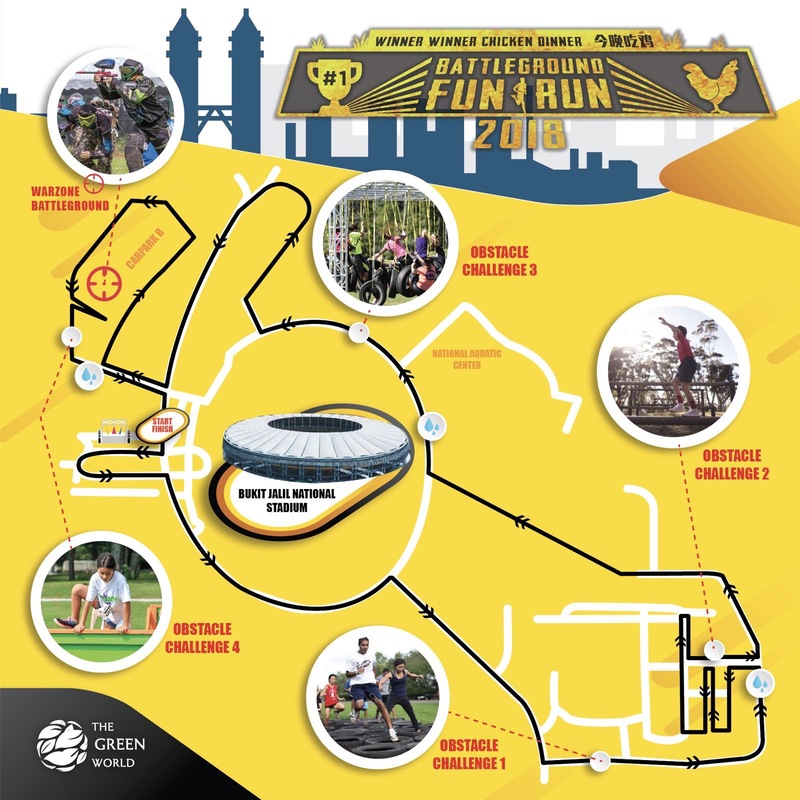 Test your endurance and strength in 4 of our obstacle challenge stations (Quick Sand Hole, Balancing Bridge, Swinging Tire, Wall Barrier) that will appear along the course of the 5km race! 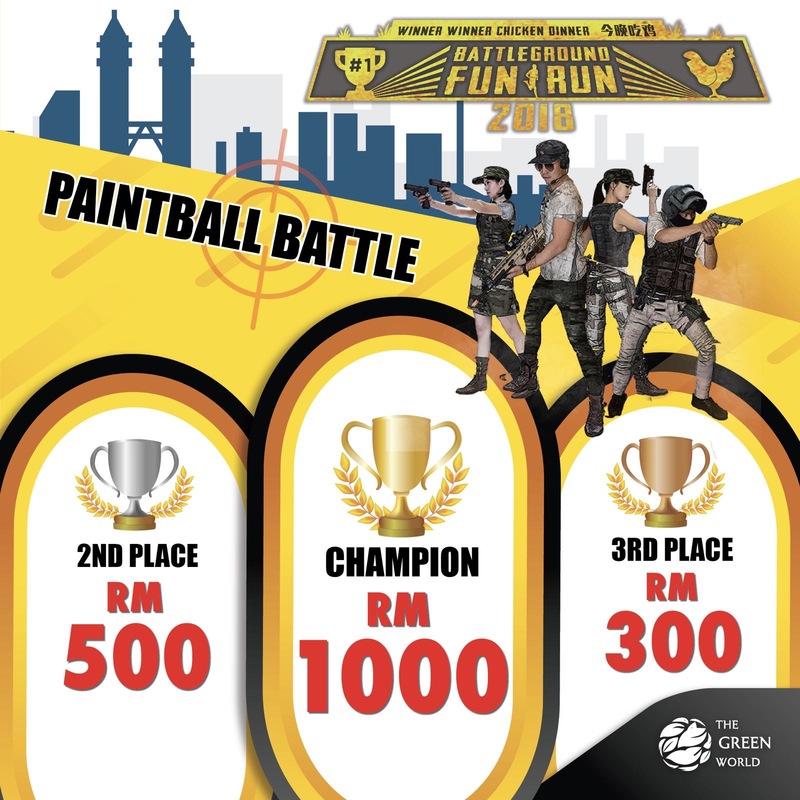 Overcome them and you’ll get a stamp each – collect 4 stamps and be the first 100 participants to reach the finishing line to qualify for War Zone battle. The War Zone is our grand stage for Battleground style showdown! The lucky 100 finalists will be divided into 4 groups of 25 people each. 5 “survivors” from each group will be qualified for our Grand Finale Showdown – a gritty, heart-thumping face-off to determine who the best among the best is! The last person standing will be crowned the Grand Winner of Battleground Fun Run! 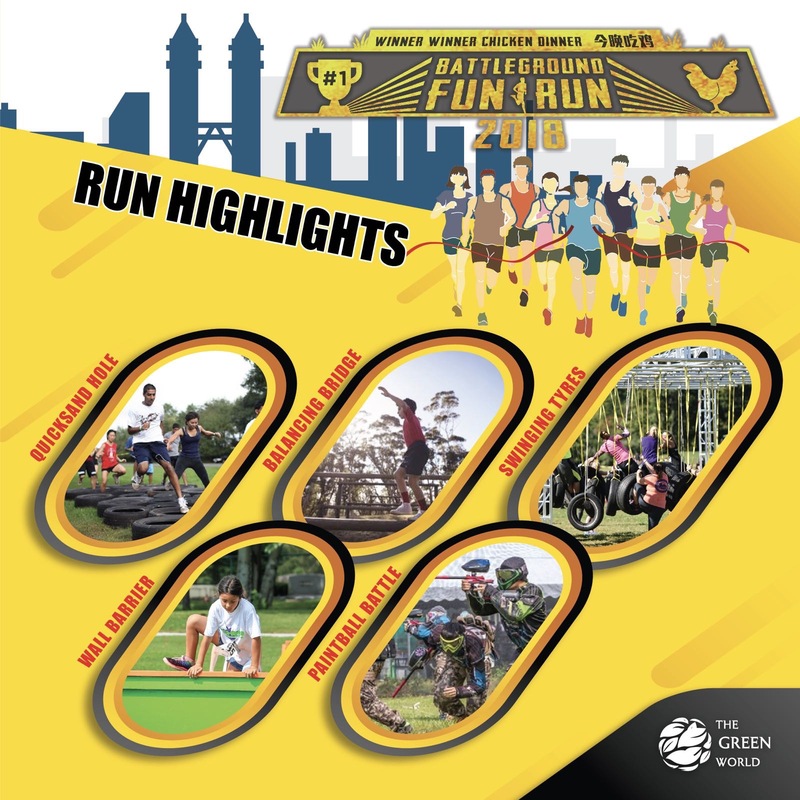 You will walk home with more than just attractive prizes as you will also have the bragging right of being the FIRST winner of the Battleground Fun Run! Now that’s something money can’t buy! In this competitive survival battle, players will engage in heart-racing fight to be the last player left standing to emerge victorious in this epic battle of the year. The battle begins this November. * Note - No dogs will be allowed to run. 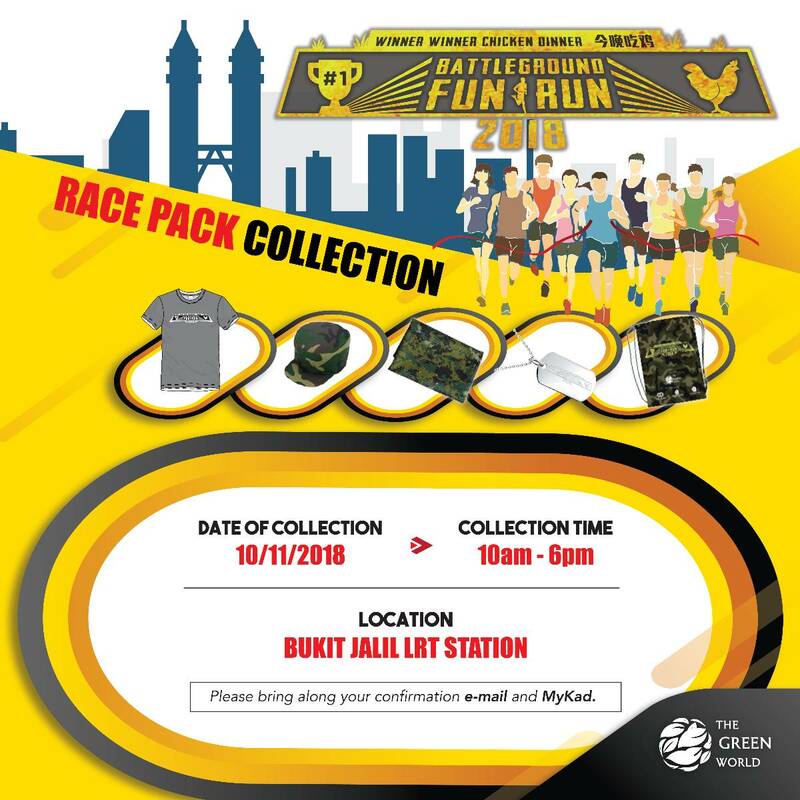 Battleground Fun Run 2018 has a number of target audiences including the general public, marathon runners, students, fitness enthusiasts and environmentally conscious “green” individuals. Zumba Session Move your body to the rhythm! Gravitate to the beat and break a sweat in our pre-run Zumba session to warm up your body. Booths and Attractions At this run, you should never stop having fun! Enjoy our range of exciting game booths, which will keep 10 players entertained at one time. Also, the cream of the crop: the biggest adventure you’ll ever seen on VR game! 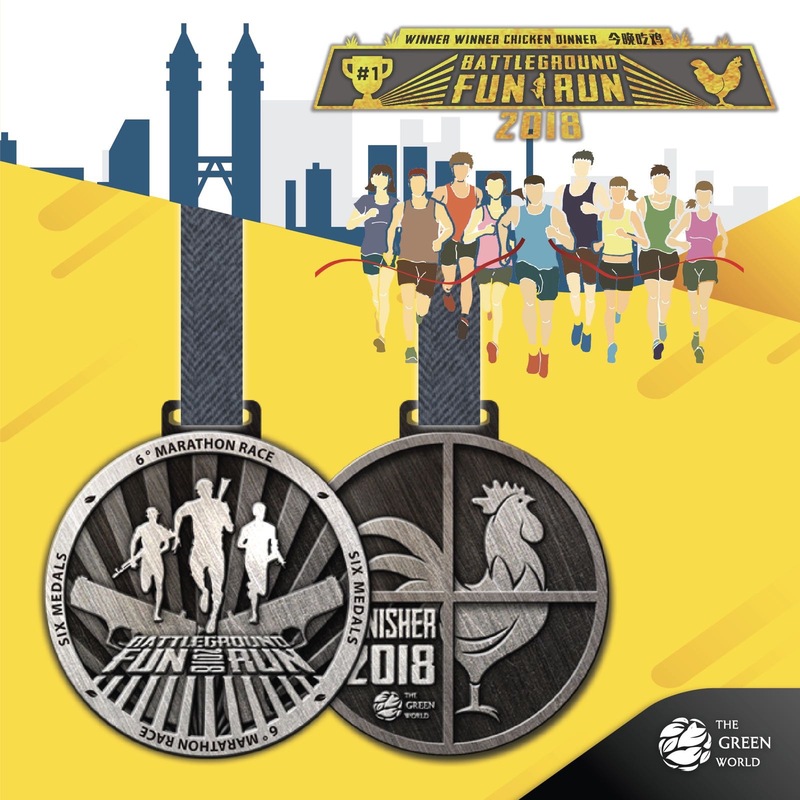 Come for the run, stay for the fun! Challenge Stations Test your endurance and limit in our obstacle course that will appear along the course of the race! Want to know what they are? Find out on the day of the race. Battleground Showdown The first 100 participants who have fulfilled our winning requirements will be shortlisted to participate in our grand challenge The Battleground Showdown! Here, 100 participants will battle in a military style zone that will have your agility, skill and precision tested! You have played your games before, now it’s time for the real deal! For environment reasons, we prefer online registration through our official website to reduce paper consumption. 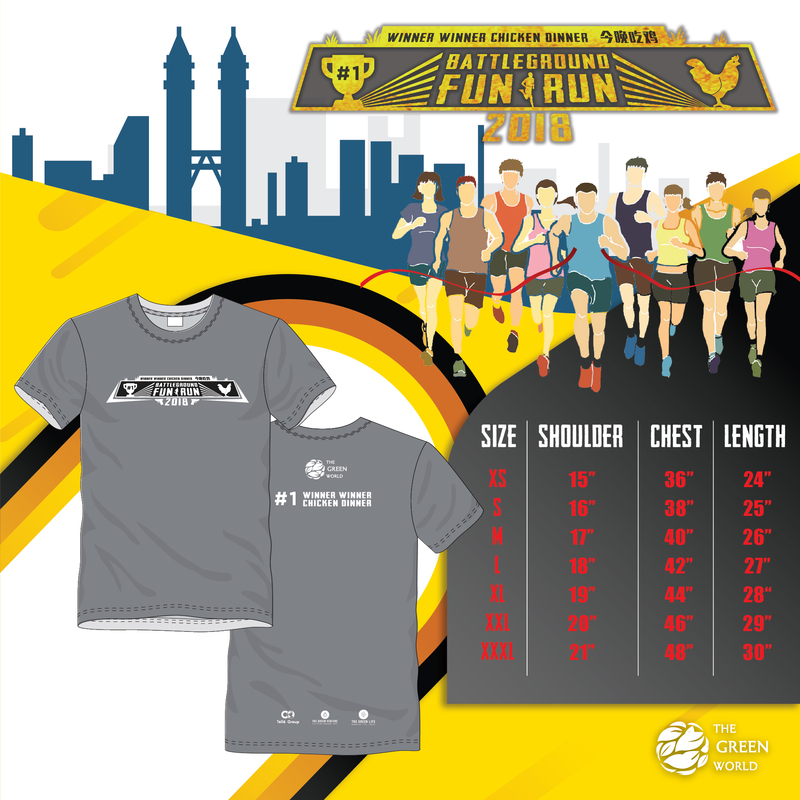 All participants need to wear event tee provided before the start of the race. Please take note that each participant MUST provide the full set of required documents (a photocopy of your MyKad/Passport and confirmation e-mail with ID (can be presented via any digital device) to your authorized representative. BATTLEGROUND FUN RUN relies heavily on volunteers for variety of jobs, before and on the Race day. Some of the key areas where volunteers help is required include packing the goodies, start & finish area drink stations, usher around the race venue, crowd control at the finish line and check out area runners. 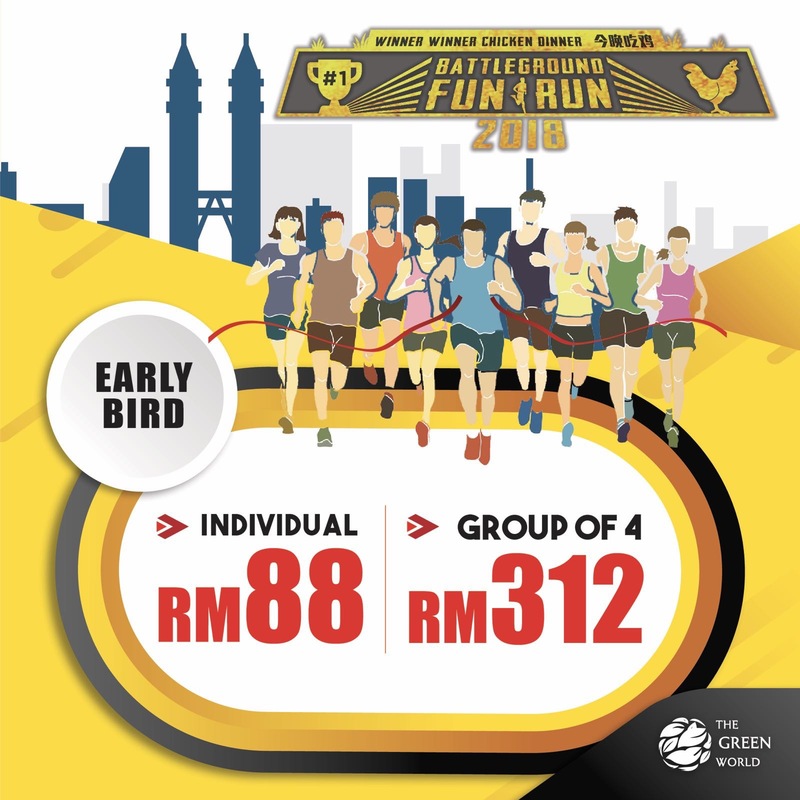 We will invite St. John Ambulance or Malaysian Red Crescent Society to support and help the running event. Race will be held, rain or shine, unless The Green World determines that conditions are too dangerous. This will be based on a prudent decision made on race weekend or race day by The Green World and local law enforcement officials. If the race is cancelled due to inclement weather there will be neither refunds nor transfers. In the event of inclement weather or unforeseen circumstances, The Green World reserves the right to alter, cancel or eliminate any/all portions of the race. Like Our Facebook Page Now to Receive Updates About This Race. • Online registration and donation to reduce paper and to provide convenience to runners and donors. Kindly make payment using your VISA/MASTERCARD credit card.